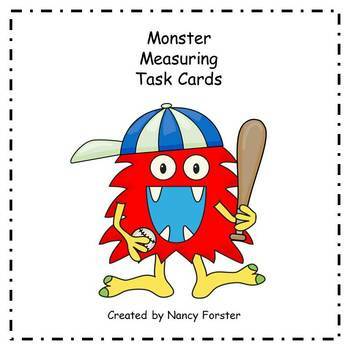 Students will have fun drawing these crazy monsters according to the measurement on the card. 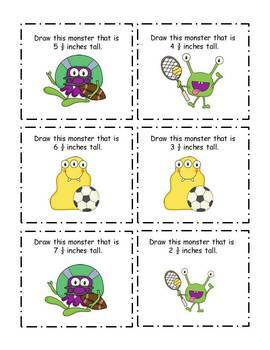 There are 12 cards measuring to the half inch and 12 cards measuring to the quarter inch. A full page and half page recording sheet are provided. 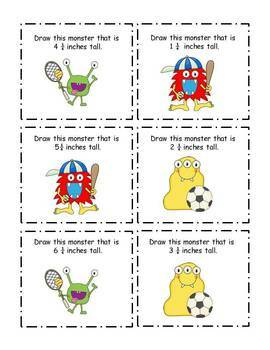 My students love this activity. 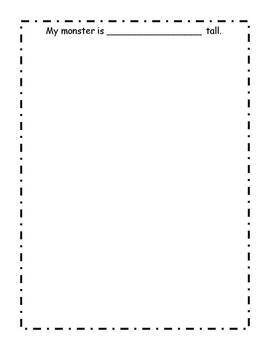 We have used it in centers and as students finish other assignments. Egyptian Measuring in Centimeters is another measuring activity.